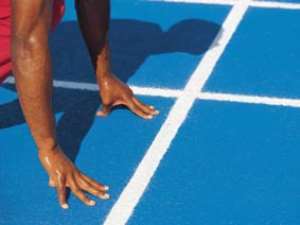 Tema, Feb. 1, GNA - Greater Accra Athletics champions, Tema Secondary School, holds its 44th annual inter-house competition on Thursday, February 3 to 4 at the school's grounds. Paul Korley of house two who emerged a "future national sprinter", will lead his house to defend their prizes while Amatu Mohammed also of house two, will seek to do the same for the girls. Mr. Ago Lartey, Sports Master of the school told the GNA Sports that T.T. Brothers, producers of Tango Fruit Juice, would sponsor the competition. Other sponsors include Glotee Engineering Limited of Tema, Adom FM, Alumetals and Cocoa Processing Company, all of Tema. "A keen competition is expected to be used as a warm-up for the defence of our Greater Accra titles", the tutor added.